NEW YORK (AP) — As the time approaches to say goodbye to Sheldon, Amy, Leonard, Penny and the gang, the CBS comedy "The Big Bang Theory" hit a season high in popularity last week. BURBANK, Calif. (AP) — Champagne briefly replaced scripts Thursday for a ceremony renaming the nondescript Stage 25 on the sprawling Warner Bros. production lot after the sitcom "The Big Bang Theory." Still television's most popular comedy, the show will exit the airwaves and the studio it has called home for 12 years this spring. LOS ANGELES It doesnt take a nuclear physicist to figure out why Young Sheldon flew out of the gate as the hottest new sitcom of the season. As a prequel to The Big Bang Theory, viewers were bound to sample the series, if only to see how a 9-year-old version of the megahits breakout character would drive his folks batty in small-town Texas. A Thursday time slot immediately following its big brother didnt hurt, either. LOS ANGELES (AP) — "The Big Bang Theory" is getting a spinoff about genius Sheldon's early years. CBS said Monday that "Young Sheldon" will air this coming season. 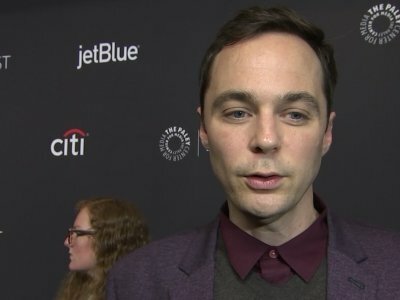 The comedy is set during the childhood of Jim Parsons' character on the original series. The precocious 9-year-old Sheldon is living with his family in Texas and attending high school.